Not all dogs should swim. Dogs, like people, enjoy different things and not all dogs enjoy the water! Some dogs may learn to like swimming, but it is up to you to pay attention and not force your dog into a situation that makes them uncomfortable and could result in injury for them. If your dog stresses and becomes panicked when in water, it is probably best to find other summer activities. They may have fun running through a sprinkler, which is a fun way to play with water and cool them down. Lifejackets save lives. Whether your dog is a strong swimmer or a dog who struggles in the water, a lifejacket is a worthwhile investment for you and your pup. Dog lifejackets are not just for weak swimmers or small dogs. They provide extra support and flotation for dogs when they tire, they often come with handles on top to help maneuver your dog or lift them from the water when needed, and they come in many different sizes to fit breeds large and small! Swimming dogs should not be left unattended. Dogs should always be supervised when swimming! Dogs will often swim the same way they play – until they drop from exhaustion. Swimming takes a lot of energy and dogs can tire suddenly and without any warning, which can lead to scary and sometimes fatal situations if we are not careful. Don’t let your dog get too far away from you and have a plan if they need your help. Remember, dogs that are big or heavy are still big or heavy in the water. 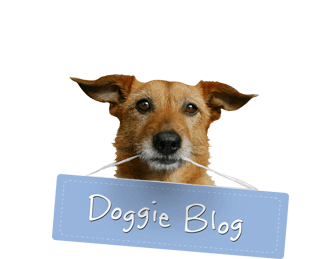 Are you able to support and swim with your dog if necessary? Lifejackets, mentioned above, are one tool that can help if your dog is unable to support themselves. Rinse your dog with clean water. They may have just come out of the water, but the water in which they were swimming may have contained bacteria and other unhealthy substances that can be left on your dog even after they exit the water. Rinse your dog off with clean water – don’t forget their face, paws, paw pads, belly and tail! Your dog will inevitably lick themselves after swimming, and rinsing them will help reduce the chance of them ingesting substances that may make them sick. Don’t drink the water. 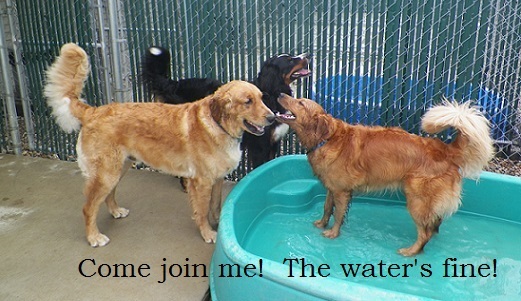 Dogs should not be encouraged to drink the water in which they are swimming. The chlorine in pool water and the substances in rivers and lakes can often make pups sick if they ingest too much. Even though they have been in water, dogs will be thirsty when are finished swimming. Make sure you bring along safe clean drinking water and a bowl to offer them a nice refreshing drink after their swim. Following these tips and giving your dog breaks throughout the day are just a few ways to make sure your outing goes swimmingly. Do you have tips on how to keep dogs safe while enjoying the water? Please share them below!